(d) Make recommendations for improving the effectiveness of protection in Federal facilities. “Airport” means any area of land or water that is used, or intended for use, for the landing and takeoff of aircraft, and any appurtenant areas that are used, or intended for use, for airport buildings or other airport facilities or rights-of-way, together with all airport buildings and facilities located thereon. “Alteration” means remodeling, improving, extending, or making other changes to a facility, exclusive of maintenance repairs that are preventive in nature. The term includes planning, engineering, architectural work, and other similar actions. “Carpool” means a group of two or more people regularly using a motor vehicle for transportation to and from work on a continuing basis. “Cultural activities” include, but are not limited to, films, dramatics, dances, musical presentations, and fine art exhibits, whether or not these activities are intended to make a profit. “Decontamination” means the complete removal or destruction by flashing of explosive powders; the neutralizing and cleaning-out of acid and corrosive materials; the removal, destruction, or neutralizing of toxic, hazardous or infectious substances; and the complete removal and destruction by burning or detonation of live ammunition from contaminated areas and buildings. “Designated Official” is the highest ranking official of the primary occupant agency of a Federal facility, or, alternatively, a designee selected by mutual agreement of occupant agency officials. “Disabled employee” means an employee who has a severe, permanent impairment that for all practical purposes precludes the use of public transportation, or an employee who is unable to operate a car as a result of permanent impairment who is driven to work by another. Priority may require certification by an agency medical unit, including the Department of Veterans Affairs or the Public Health Service. “Disposal agency” means the Executive agency designated by the Administrator of General Services to dispose of surplus real or personal property. “Educational activities” mean activities such as (but not limited to) the operation of schools, libraries, day care centers, laboratories, and lecture or demonstration facilities. “Emergency” includes bombings and bomb threats, civil disturbances, fires, explosions, electrical failures, loss of water pressure, chemical and gas leaks, medical emergencies, hurricanes, tornadoes, floods, and earthquakes. The term does not apply to civil defense matters such as potential or actual enemy attacks that are addressed by the U.S. Department of Homeland Security. “Executive” means a Government employee with management responsibilities who, in the judgment of the employing agency head or his/her designee, requires preferential assignment of parking privileges. “Executive agency” means an Executive department specified in section 101 of title 5; a military department specified in section 102 of such title; an independent establishment as defined in section 104(1) of such title; and a wholly owned Government corporation fully subject to the provisions of chapter 91 of title 31. “Federal agency” means any Executive agency or any establishment in the legislative or judicial branch of the Government (except the Senate, the House of Representatives, and the Architect of the Capitol and any activities under his or her direction). “Federal agency buildings manager” means the buildings manager employed by GSA or a Federal agency that has been delegated real property management and operation authority from GSA. “Federal Government real property services provider” means any Federal Government entity operating under, or subject to, the authorities of the Administrator of General Services that provides real property services to Federal agencies. This definition also includes private sector firms under contract with Federal agencies that deliver real property services to Federal agencies. This definition excludes any entity operating under, or subject to, authorities other than those of the Administrator of General Services. “Flame-resistant” means meeting performance standards as described by the National Fire Protection Association (NFPA Standard No. 701). Fabrics labeled with the Underwriters Laboratories Inc., classification marking for flammability are deemed to be flame resistant for purposes of this part. “Foot-candle” is the illumination on a surface one square foot in area on which there is a uniformly distributed flux of one lumen, or the illuminance produced on a surface all points of which are at a distance of one foot from a directionally uniform point source of one candela. “GSA” means the U.S. General Services Administration, acting by or through the Administrator of General Services, or a designated official to whom functions under this part have been delegated by the Administrator of General Services. “Highest and best use” means the most likely use to which a property can be put, which will produce the highest monetary return from the property, promote its maximum value, or serve a public or institutional purpose. The highest and best use determination must be based on the property’s economic potential, qualitative values (social and environmental) inherent in the property itself, and other utilization factors controlling or directly affecting land use (e.g., zoning, physical characteristics, private and public uses in the vicinity, neighboring improvements, utility services, access, roads, location, and environmental and historical considerations). Projected highest and best use should not be remote, speculative, or conjectural. “Indefinite quantity contract” (commonly referred to as “term contract”) provides for the furnishing of an indefinite quantity, within stated limits, of specific property or services during a specified contract period, with deliveries to be scheduled by the timely placement of orders with the contractor by activities designated either specifically or by class. “Industrial property” means any real property and related personal property that has been used or that is suitable to be used for manufacturing, fabricating, or processing of products; mining operations; construction or repair of ships and other waterborne carriers; power transmission facilities; railroad facilities; and pipeline facilities for transporting petroleum or gas. “Landholding agency” means the Federal agency that has accountability for the property involved. For the purposes of this definition, accountability means that the Federal agency reports the real property on its financial statements and inventory records. “Landing area” means any land or combination of water and land, together with improvements thereon and necessary operational equipment used in connection therewith, which is used for landing, takeoff, and parking of aircraft. The term includes, but is not limited to, runways, strips, taxiways, and parking aprons. 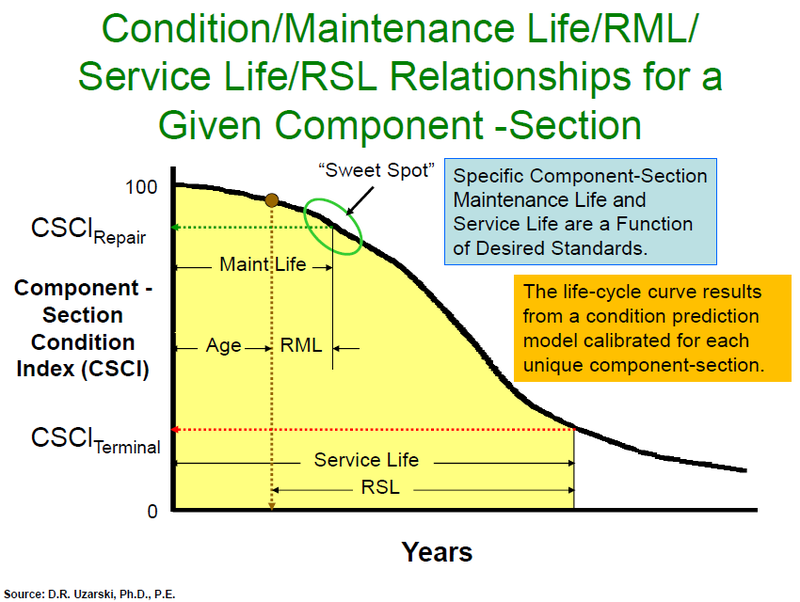 “Life cycle cost” is the total cost of owning, operating, and maintaining a building over its useful life, including its fuel and energy costs, determined on the basis of a systematic evaluation and comparison of alternative building systems; except that in the case of leased buildings, the life cycle cost shall be calculated over the effective remaining term of the lease. “Limited combustible” means rigid materials or assemblies that have fire hazard ratings not exceeding 25 for flame spread and 150 for smoke development when tested in accordance with the American Society for Testing and Materials, Test E 84, Surface Burning Characteristics of Building Materials. “Maintenance,” for the purposes of part 102-75, entitled “Real Property Disposal,” of this chapter, means the upkeep of property only to the extent necessary to offset serious deterioration; also such operation of utilities, including water supply and sewerage systems, heating, plumbing, and air-conditioning equipment, as may be necessary for fire protection, the needs of interim tenants, and personnel employed at the site, and the requirements for preserving certain types of equipment. For the purposes of part 102-74, entitled “Facility Management,” of this chapter, maintenance means preservation by inspection, adjustment, lubrication, cleaning, and the making of minor repairs. Ordinary maintenance means routine recurring work that is incidental to everyday operations; preventive maintenance means work programmed at scheduled intervals. “Management” means the safeguarding of the Government’s interest in property, in an efficient and economical manner consistent with the best business practices. (2) Was formulated through consultation by appropriate Federal agencies in a manner that afforded an opportunity for diverse views to be considered. “No commercial value” means real property, including related personal property, which has no reasonable prospect of producing any disposal revenues. “Nonprofit organization” means an organization identified in 26 U.S.C. 501(c). “Normally furnished commercially” means consistent with the level of services provided by a commercial building operator for space of comparable quality and housing tenants with comparable requirements. Service levels are based on the effort required to service space for a five-day week, one eight-hour shift schedule. “Occupancy Emergency Organization” means the emergency response organization comprised of employees of Federal agencies designated to perform the requirements established by the Occupant Emergency Plan. “Occupant agency” means an organization that is assigned space in a facility under GSA’s custody and control. “Occupant Emergency Plan” means procedures developed to protect life and property in a specific federally occupied space under stipulated emergency conditions. “Occupant Emergency Program” means a short-term emergency response program. It establishes procedures for safeguarding lives and property during emergencies in particular facilities. “Postal vehicle” means a Government-owned vehicle used for the transportation of mail, or a privately owned vehicle used under contract with the U.S. Postal Service for the transportation of mail. “Protection” means the provisions of adequate measures for prevention and extinguishment of fires, special inspections to determine and eliminate fire and other hazards, and necessary guards to protect property against thievery, vandalism, and unauthorized entry. “Public area” means any area of a building under the control and custody of GSA that is ordinarily open to members of the public, including lobbies, courtyards, auditoriums, meeting rooms, and other such areas not assigned to a lessee or occupant agency. “Public body” means any State of the United States, the District of Columbia, the Commonwealth of Puerto Rico, the Virgin Islands, or any political subdivision, agency, or instrumentality of the foregoing. (1) Any building that is suitable for office and/or storage space for the use of one or more Federal agencies or mixed-ownership corporations, such as Federal office buildings, post offices, customhouses, courthouses, border inspection facilities, warehouses, and any such building designated by the President. It also includes buildings of this sort that are acquired by the Federal Government under the Administrator’s installment-purchase, lease-purchase, and purchase-contract authorities. (i) On the public domain. (iii) On Indian and native Eskimo properties held in trust by the United States. (iv) On lands used in connection with Federal programs for agricultural, recreational, and conservation purposes. (v) On or used in connection with river, harbor, flood control, reclamation or power projects, or for chemical manufacturing or development projects, or for nuclear production, research, or development projects. (vi) On or used in connection with housing and residential projects. (viii) On Department of Veterans Affairs installations used for hospital or domiciliary purposes. (ix) Excluded by the President. (v) Crops when designated by such agency for disposition by severance and removal from the land. (2) Improvements of any kind, structures, and fixtures under the control of any Federal agency when designated by such agency for disposition without the underlying land (including such as may be located on the public domain, on lands withdrawn or reserved from the public domain, on lands reserved or dedicated for national forest or national park purposes, or on lands that are not owned by the United States) excluding, however, prefabricated movable structures, such as Butler-type storage warehouses and Quonset huts, and house trailers (with or without undercarriages). (3) Standing timber and embedded gravel, sand, or stone under the control of any Federal agency, whether designated by such agency for disposition with the land or by severance and removal from the land, excluding timber felled, and gravel, sand, or stone excavated by or for the Government prior to disposition. “Recognized labor organization” means a labor organization recognized under title VII of the Civil Service Reform Act of 1978 (Pub. L. 95-454), as amended, governing labor-management relations. “Recreational activities” include, but are not limited to, the operations of gymnasiums and related facilities. “Regional Officer,” within the meaning of part 102-74, subpart D of this chapter, means the Federal official designated to supervise the implementation of the occasional use provisions of 40 U.S.C. 581(h)(2). The Federal official may be an employee of GSA or a Federal agency that has delegated authority from GSA to supervise the implementation of the occasional use provisions of 40 U.S.C. 581(h)(2). (2) That is determined by the Administrator of General Services to be related to the real property. “Repairs” means those additions or changes that are necessary for the protection and maintenance of property to deter or prevent excessive or rapid deterioration or obsolescence, and to restore property damaged by storm, flood, fire, accident, or earthquake. “Ridesharing” means the sharing of the commute to and from work by two or more people, on a continuing basis, regardless of their relationship to each other, in any mode of transportation, including, but not limited to, carpools, vanpools, buspools, and mass transit. “State” means the fifty States, political subdivisions thereof, the District of Columbia, the Commonwealths of Puerto Rico and Guam, and the territories and possessions of the United States. “Unit price agreement” provides for the furnishing of an indefinite quantity, within stated limits, of specific property or services at a specified price, during a specified contract period, with deliveries to be scheduled by the timely placement of orders upon the lessor by activities designated either specifically or by class. “Unusual hours” means work hours that are frequently required to be varied and do not coincide with any regular work schedule. This category includes time worked by individuals who regularly or frequently work significantly more than 8 hours per day. Unusual hours does not include time worked by shift workers, by those on alternate work schedules, and by those granted exceptions to the normal work schedule (e.g., flex-time). “Upon approval from GSA” means when an agency either has a delegation of authority document from the Administrator of General Services or written approval from the Administrator or his/her designee before proceeding with a specified action. “Vanpool” means a group of at least 8 persons using a passenger van or a commuter bus designed to carry 10 or more passengers. Such a vehicle must be used for transportation to and from work in a single daily round trip. “Zonal allocations” means the allocation of parking spaces on the basis of zones established by GSA in conjunction with occupant agencies. In metropolitan areas where this method is used, all agencies located in a designated zone will compete for available parking in accordance with instructions issued by GSA. In establishing this procedure, GSA will consult with all affected agencies. “New recommendations by a National Research Council (NRC) expert panel on green and sustainable building performance could lead to a revolution in building science by creating the first large building performance database” – Paul Fisette, University of Massachusetts Amherst. NRC panel members were asked to consider whether nearly 500,000 structures owned by the U.S. Department of Defense (DOD) worldwide are being operated as sustainably and as efficiently as possible according to a number of green building standards, including Green Globes, Leadership in Energy and Environmental Design (LEED) and American Society of Heating, Refrigerating and Air-Conditioning Engineers (ASHRAE). After a nine-month assessment of energy efficiency, water use and many other sustainability factors at about 300,000 of the DOD facilities, one of their top recommendations is that the department should start metering such variables as energy and water use, to collect information on how different facilities perform in many different environments. What is lacking in building science has been this consistent set of data, really large samples over time. One of the things learned from this study is that the Defense Department is the perfect organization to be able to provide ongoing data. The DOD is a “single” owner of a lot of property and they have control over how it’s operated, along with costs, uses and standards. The DOD has the opportunity to continue to take a leadership role in improving the knowledge base about high-performance buildings, improving decision-support tools and improving building models by collecting data on measured energy, water and other resource use for its portfolio of buildings and by collaborating with others. Central to any sustainability effort, however, is the ability to execute the numerous associated renovation, repair, and minor new construction projects. 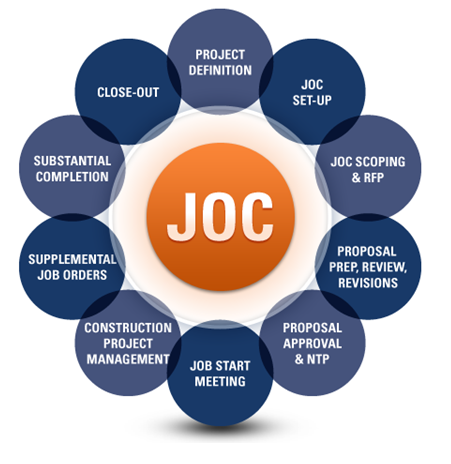 Proven collaborative, transparent, and productive construction delivery methods such as Job Order Contracting, JOC, are an important component of success. Via: http://www.4Clicks.com – Premier cost estimating and efficient project delivery software and service for JOC, SABER, IDIQ, SATOC, MATOC, MACC, POCA, BOA, BOS…, featuring an exclusively enhanced 400,000 RSMeans Cost Database with modifiers and full descriptions, and integrated visual estimating, QTO, contract management, project management, and document management… all in one application. Cloud computing is a more than catalyst for change, it is a DISRUPTIVE TECHNOLOGY. Cloud computing will drive significantly enhanced productivity within the Architecture, Engineering, Construction and Facility Management Sectors by enabling the consistent deployment of integrated project delivery methods. Owners, Contractors, Architects, Engineers and stakeholders of the built environment will benefit if they focus upon CHANGE MANAGEMENT and how to best leverage cloud computing. Collaboration – True cloud computing (vs. cloud-washing, or simply posting legacy application to the cloud) lets users work concurrently on projects in real-time (milliseconds)… virtually anyone, anywhere, anytime. Multi-language and mult-currency, etc. can easily be implemented. Security – Information is NEVER deleted. This is potentially the best form of security available. “Who” does “What” and “When” is always tracked and changes can be “rolled back” at any time by authorized administrators. Furthermore, only changes are transmitted vs. full data sets and even these are encrypted. IP Protection – Despite all the “hype” to the contrary, it is YOU, the user who determines how, when, and where to publish data. For example, you can maintain information in your private area, publish as read only to specified members within a private cloud…or publish to all members in a private cloud, or publish information to all members in public cloud and enable rights to use and modify data. Visualization – Despite the pervasive misunderstanding of BIM and unfortunate focus upon 3D visualization, DATA visualization and the associated development and implementation of the colloborative life-cycle management of built environment are the benefits provided by BIM. Cloud computing will accelerate data visualization and transparency among all stakeholders of physical infrastructure and promote performance-based processes. Agility – Our work and natural environments are changing at an accelerated pace. Rapid deployment, monitoring, and the associated modification of processes and policies is becoming increasingly important. Cloud computing deploys process faster than any other method currently available. There is no longer a need to rely upon internal “IT” for deployment or applications specific changes. Mobility – It is neither cost effective, nor efficient to have everyone working in offices or specified work settings. Resources need to be tapped from multiple locations enabling use of “the best of the best”, and resources with localized resources and/or capabilities. Cloud computing allows direct, transparent access to local resources while also communicating centralized processes and procedures. Centralization of Information – While information can be scattered among several data centers, it also can be instantly consolidated to provide global management in support of an organization’s mission as well as associated, efficient local action. Business Continuity – True, Internet access is required, however, would you rather store your information at your location and risk catastrophic failure, or have your information at multiple locations designed with redundancy, power backup, etc.? 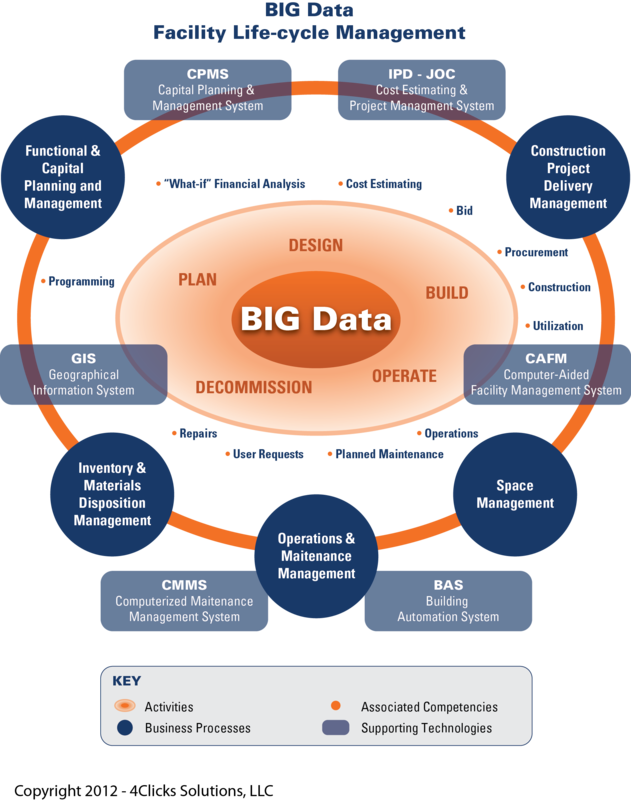 BIG DATA and EFFICIENT CONSTRUCTION METHODS (Integrated Project Delivery, Job Order Contracting), CLOUD COMPUTING, and BIM are here to stay, are you ready? The majority (60-80%) of CMMS implementations fail for the same reason that the majority of ERP systems and IWMS systems fail… the lack of due consideration of robust, lead, processes and procedures. Quite simply, technology is used to automate existing processes vs. implement more efficient, transparent, collaborative, and accurate policies and procedures. For example, virtually none of the major (or even minor) CMMS or IWMS technology vendors incorporate a standardized cost database, such as RSMeans, from which users could compare their actual material, equipment, and labor costs against a localized reference standard. “Just plain stupid”, right? What good is a CMMS system into which an Owner inputs their own experiences without comparison to industry averages, best-practices, or any third party metrics? What can these Owners possible be benchmarking against? How can goals, objectives, targets be established? 1. How many Owners understand the difference between CMMS (Computerized Maintenance Management Systems) and CPMS (Capital Planning and Management Systems) and the absolute requirement for BOTH relative to efficiently managing larger facility portfolios? 2. 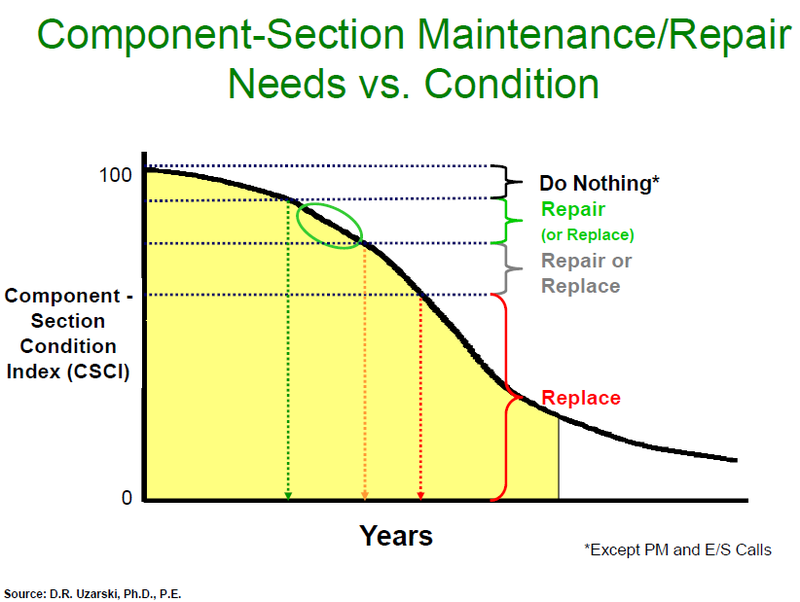 How many Owners continue to be reactive in their capital allocation, even with a CMMS…aka spending 60%+ of their budgets on emergency or unplanned maintenance vs. planned, preventive and/or predictive maintenance? 3. How many Owners still wallow in design-bid-build and change-orders, legal disputes, and poor quality vs. collaborative efficient methods such as Job Order Contracting and Integrated Project Delivery? The sad part is, there is a lot of information out there on efficient life-cycle management of the built environment supported by digital technology. Why are many facility management executives still supporting unsustainable business practices? That’s the hard question. The Federal agency scorecard relative to 2009 Executive Order the government to meet energy, water, pollution and waste reduction targets is now available. Green, yellow or red values were assigned for seven (7) metrics, with no overall score.Oddly the Department of Energy scored to “reds” for poor reductions in fleet petroleum use and poor progress in developing sustainable buildings. The EPA and GSA score all greens… which is curious at best. The GSA, for example doesn’t even have a centralized, efficient project delivery method for facility renovation, repair, sustainability and minor new construction projects, despite the fact these processes are readily available. Further the GSA has yet to get control of its inventory and related efficient use of space. The Department of Homeland Security and Office of Personnel Management scored poorly, while the Army Corps of Engineers curiously scored the worst, with red marks in all categories. The latter, in theory, has the technical expertise to effect change, put apparently continues to suffer from management issues. Under Executive Order 13514, Federal agencies are required to develop, implement, and annually update a Strategic Sustainability Performance Plan that describes how they will achieve the environmental, economic, and energy goals mandated in the Executive Order. Agencies must prioritize actions based on a positive return on investment for the American taxpayer. The plans are updated each year, reviewed by CEQ and approved by OMB to ensure that actions are carefully aligned with resources, Administration priorities, and the Federal budget process. In furtherance of the Administration’s commitment to transparency, the annual Sustainability Plans are publically accessible. Each year after the plans are approved, the agencies post them on their websites. On October 31st, 2011 the agencies released their second annual Sustainability Plans. via http://www.4Clicks.com – Premier cost estimating and project management software for efficient facility renovation, repair, sustainability, and minor new construction project – JOC – Job Order Contracting – SABER, IDIQ, SATOC, MATOC, MACC, POCA, BOA …. Via http://www.4Clicks.com – Premier software for cost estimating and efficient project delivery for renovation, repair, and sustainability – JOC, SABER, IDIQ, SATOC, MATOC, MACC, POCA, BOA …. In accordance with Public Law 111-308, The Federal Buildings Personnel Training Act, GSA identified the core competencies contained in the attachment for personnel performing building operations and maintenance, energy management, safety and design functions. The core competencies identified include competencies relating to building operations and maintenance, energy management, sustainability, water efficiency, safety (including electrical safety) and building performance measures. The core competencies will be updated annually per the law. Congress passed FBPTA to ensure that the Federal building operations workforce is adequately trained, and that Federal buildings are maximally productive and properly serviced to achieve the highest possible return on investment over projected operating life. The Act requires GSA, in collaboration with the Department of Defense and the Department of Energy, to identify the necessary core competencies for Federal building operations and management personnel, the methods required for demonstrating these core competencies, and a recommended course curriculum for all personnel involved in building operations and management, energy management, sustainability, water efficiency, safety, design, and performance measurement. In accordance with the Federal Buildings Personnel Training Act 2010 (FBPTA), the enclosed core competencies are identified for personnel performing building operations and maintenance, energy management, sustainability, water efficiency, safety (including electrical safety), building performance measures and design functions. Law requires an annual update of this curriculum, allowing it to evolve over time. This release represents the results of significant consultation with representatives from Federal departments and agencies, relevant professional societies, industry associations and apprenticeship training providers, as well as subject matter experts from academic institutions. Our Program to implement the FBPTA will continuously evolve; through lessons learned from this initial release and successive updates, in response to technological breakthroughs and improvements, in order to highlight transformational policies, processes and procedures, and in response to changes in funding and philosophical constraints. We will remain in constant consultation with the stakeholders mentioned above. Workforce Standardization Project. We modified the energy job task analyses to include facilities operations and management activities. We also held an additional Federal listening session and an Industry Symposium. The completed Job Task Analyses (JTA) were released for public review and comment. Comments revealed that the JTAs were so comprehensive that no single person could acquire all of the skills and experience captured – even over a lifetime in the profession. This lead to the development of a paired down version of the knowledge, skills and abilities (core competencies) arranged into three levels with associated pay grades and military ranks. The Facility Manager section was then put out for public comment in the FedBizOpps and sent to more than 200 representatives from government, industry and academia. Comments were transformative in that they made it very clear that a government-­‐wide Program to implement the FBPTA, must be agnostic to GS job series or pay grade. Departments and Agencies across the Federal government have personnel operating and managing facilities from many different job series. Any meaningful organization of core competencies needs to account for the variability of pay grades performing at the same level and with the same basic roles and responsibilities that are department/agency, region and even facility dependent. The next significant area of comment centered on how departments and agencies deploy their personnel. Reviewers admired the system’s three levels of increasing knowledge, skills and abilities as a “concept”, but did not believe it was implementable government-­‐wide. Departments and agencies deploy their personnel according to the scope and scale required by the facilities being operated and managed, and according to their own organizational idiosyncrasies. One agency may have a dedicated facility manager for a large stand-­‐ alone building, while another agency may have a number of individuals whose area of expertise is deployed across numerous facilities coming together in a “department” to accomplish all facilities operations and management tasks. agnostic. This system establishes (7) Core Competency Areas referenced in the law, along with (5) additional Core Competency Areas universally recognized for their impact on facilities operations and management. Further, we introduced an industry standard framework and nomenclature to better align core competencies with existing courses, certifications, degrees, licenses and registrations. It arranges the system into: Core Competency Areas, Core Competencies and Performances. We determined that most functions performed above the Facility/Cantonment Area level differed mainly in scope and scale rather than in content including: program management; policy development and implementation; performance measurement; providing subject matter expertise; budget formulation, advocacy and execution; and funding allocation. While important, these management and support functions are not the focus of the FBPTA and thus, are not the focus of our initial Program release. The Program/system provides departments and agencies the maximum flexibility to implement the FBPTA according to how they are truly organized and deployed across their portfolios. Inherent to this level of flexibility, is the necessity for interaction between individuals and their supervisors at an operational level. Using the “performances”, individuals and their supervisors will need to determine what core competencies are vital to performing their roles within the organization. A web-­‐tool is being developed with OPM that allows individuals to enter, and choose from a menu of certifications, degrees, licenses and registrations which ones they currently hold. Qualifications will be mapped automatically to the core competencies that they demonstrate. This plus any courses the individual has completed, establishes their baseline. The difference between the individual’s baseline and the core competencies required by the individual will form a “GAP”. This GAP analysis will provide the individual and their supervisor the ability to create development plans and justify funding for training. Unfortunately, the extreme variability across department and agency systems makes it impossible to allow data to be “pushed” into the web-­‐tool. direct and observable correlation of training to building performance will be a powerful vehicle for both public and private facilities operations and management personnel as they make the case for training budgets or as evidence of the efficacy of their products. This Program is designed to pursue and present state-­‐of-­‐the-­‐art knowledge and concepts per the law. As such, some of the terms and concepts may not be familiar to all personnel using this document. Where the potential for that exists, the term has been defined and a reference location given. In some cases, knowledge of a term or concept represents a “performance” under a core competency. To receive credit for this performance in the system, an individual will certify that they have reviewed the reference indicated – the honor system applies. During the development of this Program, the question of how to deal with (On the-­‐Job-­‐Training = OJT) came up frequently. Our intention is to give credit where appropriate. However, the number of personnel that will be seeking OJT and the areas they will be seeking it in, could not be determined prior to the identification of the core competencies. Now that we have the core competencies, the web-­‐tool is being designed to capture OJT requests so that the volume an scope can be analyzed and a program developed to provide vehicles for these organization to ensure their personnel possess the competencies that they are claiming credit for. The identification of the enclosed core competencies represents a significant amount of research and has been done in consultation with our industry, government and academic partners. This is a very complex system seeking to implement transformational concepts across the Federal government. We look forward to continuing our work with all the outstanding individuals and organizations that contributed to this effort. 2. Demonstrate ability to work with Facilities team to assess a facility’s need for building systems. 3. Demonstrate ability to oversee the acquisition, installation, and operation of building systems. 4. Demonstrate ability to work with Facilities Team to establish practices and procedures. 5. Demonstrate ability to work with Facilities Team to determine and administer the allocation of building systems’ resources. 6. Demonstrate ability to monitor and evaluate how well building systems perform. 7. Demonstrate ability to manage corrective, preventive and predictive maintenance. 8. Demonstrate ability to work with Facilities Team to develop emergency procedures for building systems. 9. Demonstrate knowledge of how to implement disaster recovery plans for building systems as required. Building Interior 1. Demonstrate knowledge of how to evaluate building structures and permanent interiors.2. Demonstrate ability to manage the service/repair requests and maintenance and cleaning needs of building structures and permanent interior elements. 3. Demonstrate ability to evaluate furniture and equipment performance. 4. Demonstrate ability to manage the maintenance and cleaning of furniture and equipment. 2. Demonstrate ability to assess the effect of climate and extreme environmental conditions. 3. Demonstrate ability to evaluate the performance of grounds and exterior elements. 4. Demonstrate ability to assess the need for alterations in grounds and exterior elements. 5. Demonstrate ability to manage the maintenance and custodial needs of grounds and exterior elements. Other Facility Systems 1. Demonstrate ability to manage vehicles and related equipment as required. 3. Demonstrate ability to manage pest control and waste systems. personnel to ensure facility requirements are met and service interruption procedures are in place. 2. Demonstrate ability to adjust System Parameters as required. 5. Demonstrate ability to coordinate HVAC system changes. o Ability to perform advanced trouble shooting techniques using appropriate tools. 2. Demonstrate knowledge and ability to change: electrical fuses, control boards, electrical fixtures, and electrical relays. 3. Demonstrate knowledge and ability to replace electric motors. 4. Demonstrate knowledge and ability to maintain plumbing fixtures, sewage injectors, and water heaters. 5. Demonstrate knowledge and ability to identify irrigation leaks. 7. Demonstrate knowledge and ability to maintain pressure-­‐reducing valves. 8. Demonstrate knowledge and ability to replace water filters. 9. Demonstrate knowledge and ability to winterize irrigation systems if necessary. 1. Demonstrate knowledge and ability to operate Fire Alarm panels and test the entire fire alarm system.2. Demonstrate knowledge and ability to test the emergency generators. 3. Demonstrate knowledge and ability to test fire pumps and sprinkler systems. 4. Demonstrate knowledge and ability to test smoke and heat sensors. 5. Demonstrate knowledge and ability to inspect fire extinguishers. General BuildingMaintenance 1. Demonstrate knowledge and ability to maintain door hardware.2. Demonstrate knowledge and ability to maintain roof systems. 3. Demonstrate knowledge and ability to maintain ceiling tiles. 4. Demonstrate knowledge and ability to maintain flooring systems. 5. Demonstrate knowledge and ability to maintain window systems. 6. Demonstrate knowledge and ability to perform minor wall repairs. 4. Demonstrate knowledge of ALL types of commissioning, and what is required in the Energy Independence and Security Act 2007 (EISA). 5. Demonstrate knowledge of metering and sub-­‐metering for energy and water and how they contribute to systems optimization. 6. Demonstrate knowledge of O&M Frontiers like those found in FEMP O&M Best Practices Guide Rev 3.0 pg 287. 7. Demonstrate knowledge of advanced trouble-­‐shooting techniques on a systems-­‐wide basis. Technology Solutions 1. Demonstrate ability to monitor information and trends related to facility management technologies.2. Demonstrate ability to identify and interface with internal and external accountable resources, e.g., external vendors, internal or external IT systems owners. 4. Demonstrate ability to assess how changes to facility management technologies will impact current infrastructure, processes, and building systems. 5. Demonstrate ability to plan for and oversee the acquisition, installation, operation, maintenance, upgrade, and disposition of components supporting facility management technologies. 6. Demonstrate ability to recommend and communicate policies. Establish practices and procedures. 7. Demonstrate ability to develop and implement training programs for facilities staff and ancillary resources. 8. Demonstrate ability to monitor performance of facility management technologies and make appropriate recommendations when modifications are needed. 9. Demonstrate ability to manage corrective, preventive, and predictive maintenance. 10. Demonstrate ability to develop, test and implement, when necessary, emergency procedures and disaster recovery plans. 3. Demonstrate ability to conduct trouble-­‐shooting procedures at the equipment, system and building levels. 4. Demonstrate ability to conduct trouble-­‐shooting of critical systems: access control systems, fire alarm and suppression systems, elevator systems, emergency lighting systems, and emergency communication systems. 2. Demonstrate knowledge of Combined Heat and Power (CHP) Systems and distributed generation.3. Demonstrate knowledge of Renewable Energy Systems – Solar (Thermal and Photovoltaic), Wind, Biomass, Hydropower. 5. Demonstrate knowledge of Building Automation Systems (BAS) and Control Systems. 7. Demonstrate knowledge of Energy Management Systems (EMS) and Energy Information Systems (EIS). 8. Demonstrate knowledge of re-­‐programming current systems and expanding network of sensors and control devices to optimize HVAC, lighting and other automated systems. 9. Demonstrate knowledge of how to incorporate occupancy sensors, task lighting, thermostatic set-­‐points with weather forecasting and other demand linked strategies to optimize building performance. 1. Demonstrate knowledge of all types of Commissioning: initial commissioning, retro-­‐commissioning, re-­‐commissioning, Continuous (on-­‐going) Commissioning – the differences, and commissioning requirements in laws and executive orders. 2. Demonstrate knowledge of commissioning requirements for: measurement and verification, phasing and commission agent duties. 4. Demonstrate knowledge of Shared Savings Contracts, Power Purchase Agreements (PPA), Utility EnergyService Contracts (UESC) and Enhanced Use Leases (EUL). 1. Demonstrate knowledge of utility service providers for facility (ies).2. Demonstrate knowledge of utility meters – location, reading and data management. 3. Demonstrate knowledge of utility billing and rate structure. 4. Demonstrate knowledge of local utility programs – special rate programs and incentives. 5. Demonstrate the ability to work with Facilities team to negotiate rates and discounts. 6. Demonstrate knowledge of how to work with utility departments to locate lines. 7. Demonstrate knowledge of utility emergency procedures and contacts. 1. Demonstrate knowledge and ability to develop an Energy master plan.2. Demonstrate knowledge and ability to develop a metering Program. 3. Demonstrate knowledge and ability to develop energy account database. 4. Demonstrate knowledge and ability to provide planning support for energy budget. 5. Demonstrate knowledge and ability to identify and develop low-­‐cost and no-­‐cost energy efficiency opportunities. 6. Demonstrate knowledge and ability to provide operational support to energy management control systems. 7. Demonstrate knowledge and ability to develop/assist in project identification and justification. 8. Demonstrate knowledge and ability to develop UESC and ESPC projects. 9. Demonstrate knowledge and ability to monitor facility energy projects. 10. Demonstrate knowledge and ability to provide peak load management. awards program recognizing energy efficiency efforts. 12. Demonstrate knowledge and ability to develop and distribute energy articles, newsletters, notices, posters and signs. 13. Demonstrate knowledge and ability to coordinate Energy Awareness Week/Month. Basic Requirements 1. Complete Department/Agency required Safety training that meets or exceeds the requirements of OSHA,General Industry and/or Construction 10 and 30 hr programs. 2. Complete Electrical Safety course and be familiar with electrical codes and regulations and best practices. Infrastructure 1. Demonstrate knowledge of control systems for: mold, asbestos, Histoplasmosis, PCB in transformers.2. Demonstrate knowledge of proper water treatment to prevent Legionnaire’s Disease. 3. Demonstrate knowledge of ventilation systems and prevention of contaminant introduction and cross contamination. 4. Demonstrate knowledge of fire prevention systems in hazardous locations/operations; food preparation areas; electrical transformers. 6. Demonstrate knowledge of control of electric vehicle battery fires, internal use, occupant use and visitor vehicles. 7. Demonstrate the ability to ensure that all building confined spaces are evaluated and marked. 8. Demonstrate the ability to ensure proper maintenance of special purpose, unique design or antiquated fire alarm and suppression systems. 9. Demonstrate the ability to manage Compliance with elevator inspection requirements. Contract Management 1. Demonstrate knowledge and ability to protect occupants with signs, barriers, and fencing and allow NOrenovation of occupied space. 2. Demonstrate knowledge of permit system for hot welding work and for confined space work. 3. Demonstrate knowledge of fall protection of people and tools/materials for contractor and occupants. 4. Demonstrate knowledge of proper disposal of hazardous, toxic and biologic materials. 5. Demonstrate knowledge of protection of electrical hazards to employees and to building infrastructure; arc rated clothing, lock out/tag out program. Army Corps of Engineers construction safety manual EM 385-­‐1-­‐1. 4. Demonstrate knowledge of and ability to manage prohibition of fire hazards. 7. Demonstrate knowledge of and ability to manage adequate electric vehicle battery charging stations to prevent fires (as required). 8. Demonstrate knowledge of and ability to manage prohibition of non UL-­‐rate unsafe electrical equipment. 9. Demonstrate knowledge of and ability to manage the documentation of occupant safety and health complaints and their resolution. Planning 1. Demonstrate knowledge and ability of conduct an assessment of “needs” that will evaluate whether currentfacilities can respond to a new requirement or whether a “project” must be developed to respond to the new requirement. 4. 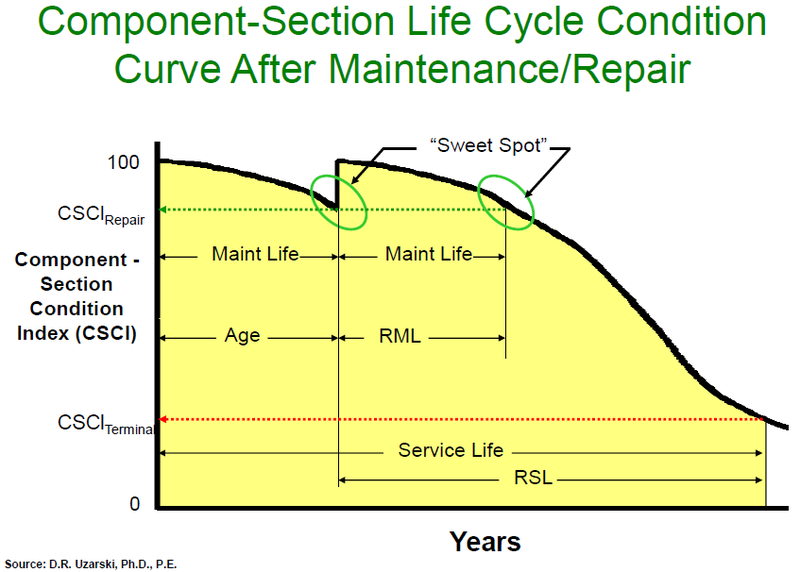 Demonstrate understanding of the concept of “Deep Energy Retrofits (DER)” and how and when to initiate. 5. Demonstrate knowledge of certification systems used by the Federal government and industry (ex. 7. Demonstrate knowledge and ability to use Geographic Information System (GIS) and other Dept/Agency software programs in preparation of all required documents. energy [and water] conservation, environment, safety, security, durability, accessibility, cost-­‐benefit, productivity, sustainability, functionality, and operational considerations” (Energy Independence and Security Act 2007 401 PL 110-­‐140). -­‐ balancing environmental, economic and social goals (Hodges 2009; Lewis et al 2009) to take the philosophical definition and make it practical. The nature of “Sustainability” is interdisciplinary and will contain elements from environmental, operations, maintenance, contracting and management etc. 2. Demonstrate knowledge of Dept/Agency Strategic Sustainability Performance Plan (SSPP). 3. Demonstrate knowledge of Dept/Agency Resiliency and Adaptation Plan. 2. Demonstrate knowledge of how the above comes together in the “Sustainability Section” of the FacilityMaster Plan. 4. Demonstrate ability to work with subject matter experts to calculate the “qualitative impacts” of sustainability program. 5. Demonstrate knowledge of implementing a “recognition program” for sustainability efforts. Regulations, Goals andBest Practices 1. Demonstrate knowledge of water efficiency principles that are applicable in both the public and privatearena. o EO 13423, 13514, Energy Policy Act 2005 and Energy Independence and Security Act (EISA 07). 3. Demonstrate knowledge of Water Efficiency Goal Guidance for the Federal Government. 4. Demonstrate knowledge of current Dept/Agency water guidance – Uniform Facilities Code (UFC), Department or agency guidebooks. 1. Demonstrate ability to work in integrated project teams (Facility Managers, Building Operating Engineers,Planners, Contracting Officers, Contractors, Occupants etc) to execute, small, medium and large projects. 1. Demonstrate knowledge of PM software and scheduling software, where to find technical resources on PM. that projects are completed as designed with the specified materials by qualified personnel. 1. Demonstrate knowledge of the mission of the Facilities’ Occupants and how the facilities enhance thatmission. 4. Demonstrate knowledge of additional methods for calculating TCO and other economic analysis can be used if they use the same parameters and time period. 5. Demonstrate knowledge of available LCCA software. 1. 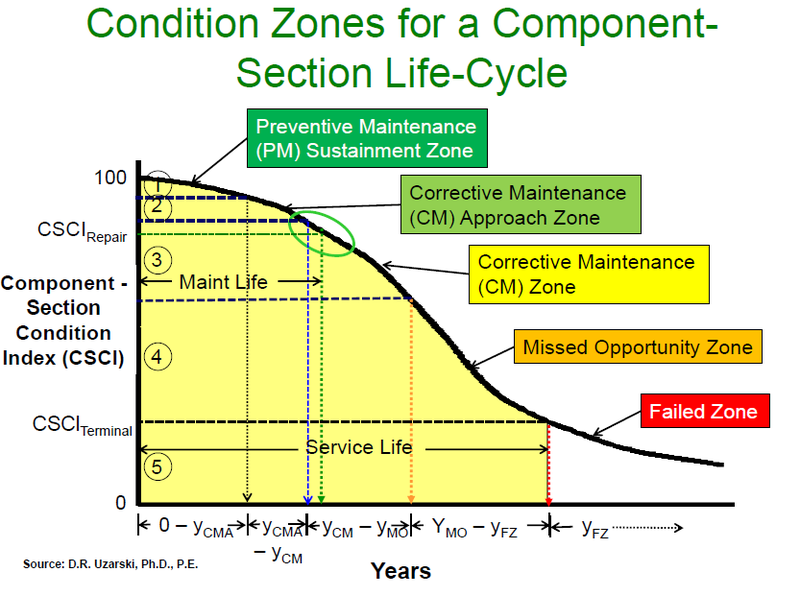 Demonstrate knowledge of the difference between a Life Cycle Assessment (LCA) and an LCCA.2. Demonstrate knowledge and ability to use a LCA to estimate the environmental impacts of a material, product or service through its entire life cycle. 3. Demonstrate knowledge of ISO 14040. Contracting 1. Demonstrate knowledge of Contracting Officer Representative (COR) duties, responsibilities, training,certification and maintenance of certification. 2. Demonstrate knowledge of rules and requirements for purchasing products and services. 3. Demonstrate ability to assess technical requirements needed to ensure delivery and quality of services/products. 4. Demonstrate ability to create an effective Statement Of Work (SOW) for COR or Contracting Officer to ensure proper procurement of a product or service. 5. Demonstrate knowledge of and ability to effectively govern/oversee a contract to ensure compliance and full value of the service or product being provided. Budget Formulation andExecution 1. Demonstrate ability to develop and manage a project/program budget.2. Demonstrate knowledge of budget submission requirements. 3. Demonstrate knowledge of historical budget records and costs and how to use in forecasting. 4. Demonstrate ability to quantify potential for cost savings and cost avoidance. 5. Demonstrate ability to use LCCA in budget preparation. 6. 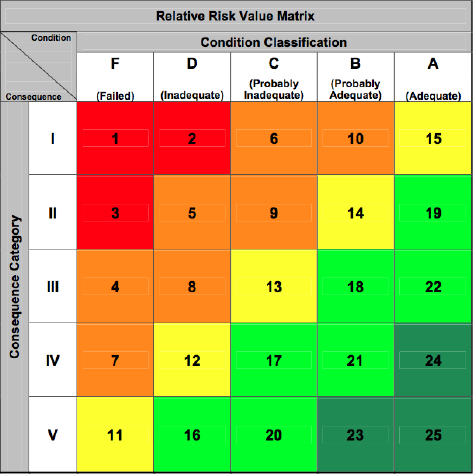 Demonstrate ability to identify quantitative and qualitative risks. 7. Demonstrate ability to advocate for funding using economic analysis. 8. Demonstrate ability to prioritize projects/programs based on funding levels. 9. Demonstrate ability to manage operating budget and produce required financial reports. 10. Demonstrate knowledge of invoice/expenditure approval processes. 11. Demonstrate ability to recommend/conduct funding reallocation based on changing priorities. 12. Demonstrate ability to conduct periodic financial reviews and produce required reports. o Evaluate and manage the facility’s support of organizational goals and objectives. o Monitor changes in laws and regulations. Innovation 1. Demonstrate knowledge and ability to investigate ways to improve facility services.2. Demonstrate knowledge and ability to assess risks and opportunities. 3. Demonstrate knowledge and ability to conduct pilot tests when developing new procedures. 9. Demonstrate knowledge of University Facilities Management degrees and certifications. Dept/Agencies for operations, training, disaster response and energy/resource use. 3. Demonstrate knowledge and ability to drive a “Change Management” process -­‐ a structured approach to shifting/transitioning individuals, teams, and organizations from a current state to a desired future state. 4. Demonstrate knowledge and ability to move from the Operational (the who and when of things getting done) to Tactical (what we do) to the Strategic (why we do what we do). 5. Demonstrate ability to strategically allocate all forms of “capital” – human(people), physical(facilities), economic(money) and environmental(land and resources). 6. Demonstrate ability to provide decision makers with better information about the total long-­‐term costs and consequences of a particular course of action. 7. Demonstrate ability to participate in the organization’s strategic planning at the executive level in order to translate between the organization’s missions and its facilities portfolio and clearly communicate how real estate and facilities can support these missions. Federal BuildingsPersonnel Training Act 1. Demonstrate knowledge of the requirements under the Federal Buildings Personnel Training Act 2010.2. Demonstrate knowledge of how to use www.FMI.innovations.gov to view core competencies, methods to demonstrate them, curriculum and to report compliance with the law. Acquiring Data 1. Demonstrate knowledge of the differences between quantitative and qualitative data and how togather/calculate each. 2. Demonstrate knowledge of key building performance measures, where and how to read them, and reporting requirements. situation and desired outcome dependent. 2. Demonstrate ability to use measures to inform decision-­‐making and resource allocation. 3. Demonstrate knowledge of cascading Key Performance Indicators (KPI) that can be used to measure how well mission, management, program and individual goals are being met. 4. Demonstrate ability to establish baselines from which progress toward attainment of goals can be measured. 5. Demonstrate ability to establish feedback systems to support continuous improvement of an organization’s processes, practices, and results (outcomes). 6. Demonstrate knowledge of how to combine single building metrics into a system to measure the performance of buildings portfolio in support of the organization’s overall mission. 7. Demonstrate understanding that investments in training, and in facilities in general, are not often immediately visible or measurable, but that they are manifest over a period of years. Yesterday (6/19/2012), the National Academies Federal Facility Council hosted a timely, and potentially watermark event “Predicting Outcomes of Investments in Maintenance and Repair of Federal Facilities“. It is my hope that this event and those similar to it be expanded as much as possible to assist all real property owners, architects, contractors, subcontractors, building product manufactures, oversight groups, and the community truly practice facility life-cycle management, referred to more recently as BIM (building information modeling / management). Identify and advance technologies, processes, and management practices that improve the performance of federal facilities over their entire life-cycle, from planning to disposal. 1. You can’t manage what you don’t measure. • Identify and prioritize the outcomes to be achieved through maintenance and repair investments and link those outcomes to achievement of agencies’ missions and other public policy objectives. • Provide a systematic approach to performance measurement, analysis, and feedback. • Provide for greater transparency and credibility in budget development, decision making, and budget execution. • Identify and prioritize the beneficial outcomes that are to be achieved through maintenance and repair investments, preferably in the form of a 5- to 10-year plan agreed on by all levels of the organization. • Establish a risk-based process for prioritizing annual maintenance and repair activities in the field and at the headquarters level. • Establish standard methods for gathering and updating data to provide credible, empirical information for decision support, to measure outcomes from investments in maintenance and repair, and to track and improve the results. Component-section (a.k.a. 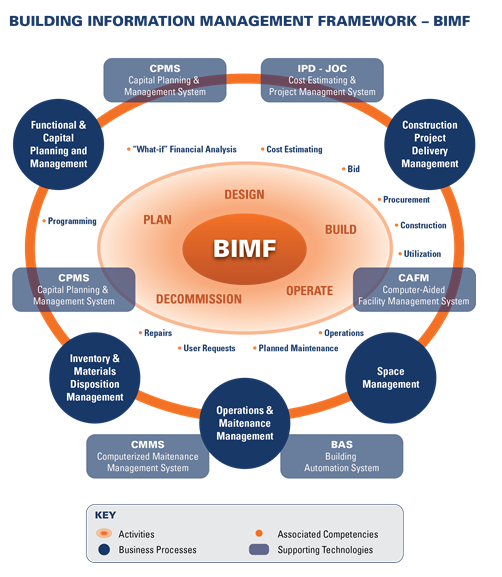 section): The basic “management unit.” Buildings are a collection of components grouped into systems. Sections define the component by material or equipment type and age. Condition Survey Inspection (a.k.a. Condition Survey; Inspection): The gathering of data for a given component-section for the primary purpose of condition assessment. Condition Assessment: The analysis of condition survey inspection data. Component Section Condition Index (CSCI): An engineering – based condition assessment outcome metric (0 – 100 scale) and part of the Building Condition Index (BCI) series. 2. Determine Roll-Up Condition of System, Building, etc. Deficiency: The “traditional” inspection discussed previously. Distress Survey: The identification of distress types (i.e. crack, damage, etc. ), severity (low, medium, high) and density (percentage) present. Data directly used in the calculation of the CSCI. No estimate of cost or priority. Distress Survey with Quantities: Same as distress survey except that distress quantities are measured or counted. The resulting density is more accurate than a distress survey, thus the CSCI is more precise. Direct Rating: A one-step process that combines inspection and condition assessment. An alphanumeric rating (three categories, three subcategories each) is assigned to the component-section by the inspector. Rating is directly correlated to a CSCI value, but is less accurate than a CSCI derived from a distress survey. Quick, but no record of what’s wrong. The Federal Facilities Council (FFC) was established at the National Academies in 1953 as the Federal Construction Council. The mission of the FFC is to identify and advance technologies, processes, and management practices that improve the performance of federal facilities over their life-cycles, from programming to disposal. The FFC is sponsored and funded by more than 20 federal agencies with responsibilities for and mutual issues related to all aspects of facilities design, construction, operations, renewal, and management. The FFC fulfills its mission by networking and by sharing information among its sponsoring federal agencies and by leveraging its resources to conduct policy and technical studies, conferences, forums, and workshops on topics of mutual interest. The activities to be undertaken in any given calendar year are approved by a committee composed of senior representatives from each of the sponsor agencies. Much of the work of the FFC is carried out by its 5 standing committees, each of which meets quarterly. The majority of meetings include presentations by guest speakers from the federal community, academia, and the private sector and these presentations are open to the public. The presentation slides are posted on the Events page of this website. If you would like to automatically receive notices of new reports or upcoming events, please subscribe to the FFC listserv. Within the National Academies, the FFC operates under the auspices of the Board on Infrastructure and the Constructed Environment (BICE) of the National Research Council. The BICE provides oversight and guidance for FFC activities and serves as a link between the sponsoring federal agencies and other elements of the building community, both national and international. “• Consolidating oversight of conferences into a new Office of Administrative Services, which is responsible for contracting, approving and reviewing spending for conferences.